Joe Sweeney works with a visual language created through British idiosyncrasies, everyday references and the banal, commenting on our fast changing times by elevating the throw away. Through quick observation, the artist encourages a pause for thought on the daily interactions that we don’t always pay attention to. 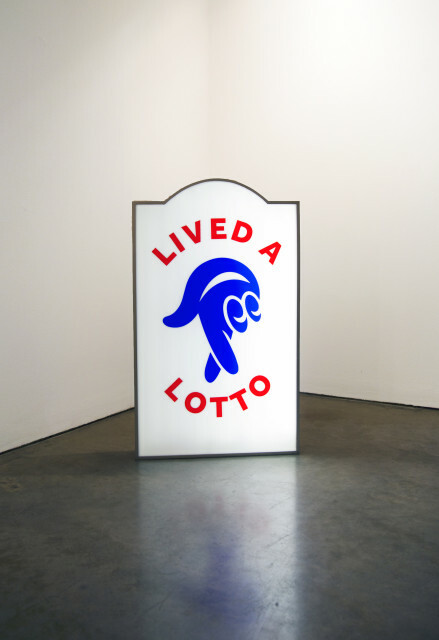 Playing with Britain’s passion for nostalgia, he often creates morbid but humorous work through sculpture, print and installation. Joe Sweeney (b. 1991 lives and works in London) graduated from Chelsea College of Art in 2013. Recent solo exhibitions include 'Loose Change', Cob Gallery, London (2017); and 'Take Away', Cob Gallery, London, UK (2016). The artist has also participated in numerous group shows including 'An Exquisite Mess', curated by India Dickinson, London (2018); 'FOURTH', London, UK (2016); and 'Quality Produce', London (2016).